Raphael Easel table top easel, constructed of beautifully finished seasoned wood. 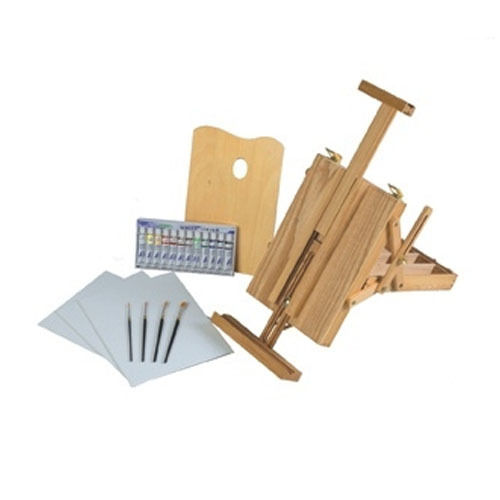 This easel has adjustable upper and lower canvas supports, the lower allowing the artist to position their canvas below the table top surface. The easel is also equipped with a compartmentalized drawer for materials.